Miscarriage is a sad and often very private topic, as well as being completely normal and extremely common. Depending on which figures you look at, miscarriage strikes one in five women, or as many as half if you include very early miscarriages. Whenever miscarriage happens, it always brings grief and questions. 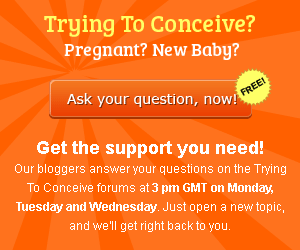 One of those questions is when to try to conceive again. Advice on this topic is all over the place. Medical professionals and women who have experienced miscarriages are both divided on the issue, and not much research is available to base those opinions on. Now, a new study suggests that trying to conceive immediately after miscarriage is not only safe, but may have benefits. The study was conducted by Scottish medical students and professors, and an OB. It was published in BMJ, and is available to read online in its entirety, if you are interested. This new study reached an interesting and somewhat unexpected conclusion – researchers claim that those women who conceived again within six months after a miscarriage actually had a lower chance of miscarrying again. Miscarriage risk was reduced by as much as a third for those who conceived again right away, and the study also reports that women who conceived soon following miscarriage were more likely to have healthy and normal pregnancies than those who waited for more than six months. Women who got pregnant within six months of having a miscarriage were less likely to have a c-section, a premature baby, or a baby with a low birth weight, the Scottish researchers also say. What does a surgical birth have to do with miscarriage, you might ask? That is certainly something I would like to find out more about. Whether this link between c-sections and miscarriages exists at all depends entire;y on the reasons for the c-section, I say! The link between premature babies and low birth rate babies is even harder to prove. The study does hold that those women who suffered from previous miscarriages are at higher risk of having another loss, but states that those who succeed in conceiving again within six months have a lesser chance of having a miscarriage, and a higher chance of having a healthy baby. This study certainly gives women who have had miscarriages some food for thought!